THOMAS SABO offers high-end corporate gifts that are perfectly tailored to your company and your requirements. Be this as a token of your gratitude or as an incentive for your employees, as a customer gift, bespoke piece or to mark a specific milestone – all THOMAS SABO corporate gift ideas are inspired by people and truly special moments. Use an individually-selected corporate gift from the iconic Sterling Silver, Charm Club and Watches collections to underline the special character of the occasion and ensure you are remembered for years to come. Because each THOMAS SABO design is created with the highest demands in terms of quality, aesthetics and style – always radiating a hint of awesomeness and joie de vivre in the process. Put your faith in our more than 30 years of experience. 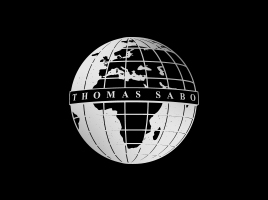 Founded in 1984, THOMAS SABO is today one of the leading premium jewellery and watch brands, offering emotional moments with jewellery and watch gifts in around 75 countries throughout the world. Driven by our fascination for silver jewellery and the personal quality pledge of our company founder and Chairman Thomas Sabo, we demonstrate our know-how and expertise in the processing of high-end silver jewellery with each and every one of our creations. 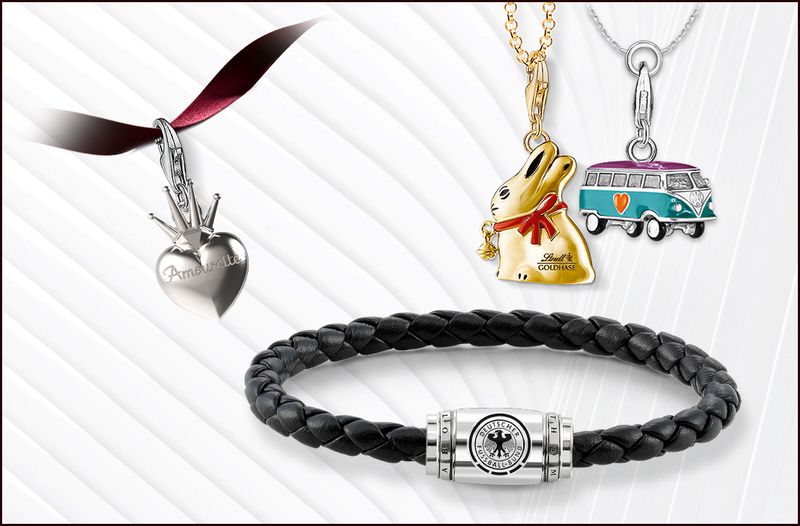 Discover the diversity of the THOMAS SABO corporate gifts now. 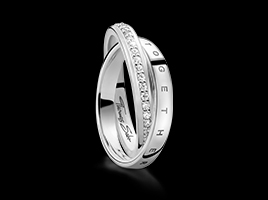 Increase customer loyalty and show your clients your appreciation with a durable corporate gift designed by THOMAS SABO. Be inspired by our portfolio and discover the possibilities of creating jewellery crafted from 925 Sterling silver. We will even develop the perfect concept for your target group. A corporate gift von THOMAS SABO is not just a style statement, but is also always a symbol that perfectly captures the emotions of special moments such as staff anniversaries, company events or the end of the year. Customised designs are also possible – with items featuring a mission statement, the year’s motto or the annual target, for example. And we also offer special terms and conditions for promotions. Draw the attention of your target group to your services with a corporate gift from THOMAS SABO and increase sales with attractive offerings. Whether B2C, B2B or as an incentive for your company employees – we guarantee quick delivery times and high flexibility. 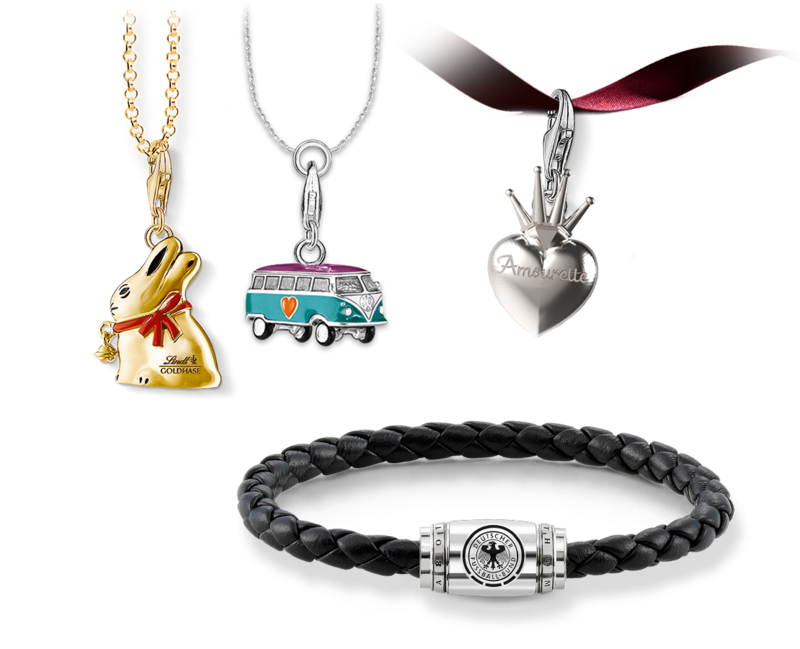 Create truly special incentives within your company with the fashionable THOMAS SABO statements: our corporate gifts catalogues offer a huge range of products that are convincing in all price ranges – with collections for men and women and fantastic gift ideas. 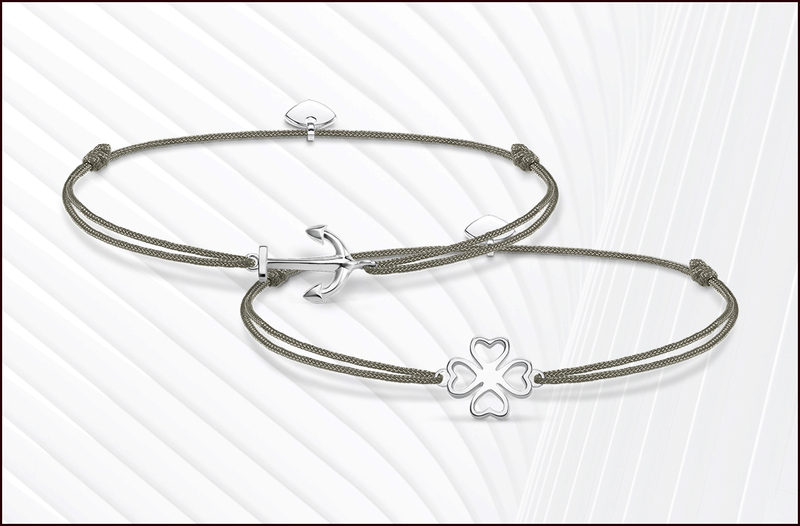 Dynamic, aesthetic, determined – create a real eye-catcher with a bespoke piece from THOMAS SABO! Be involved in the decision-making process and benefit from our flexible value chain and the support of your own personal contact partner – from the initial sketches all the way through to the exclusive finished product. 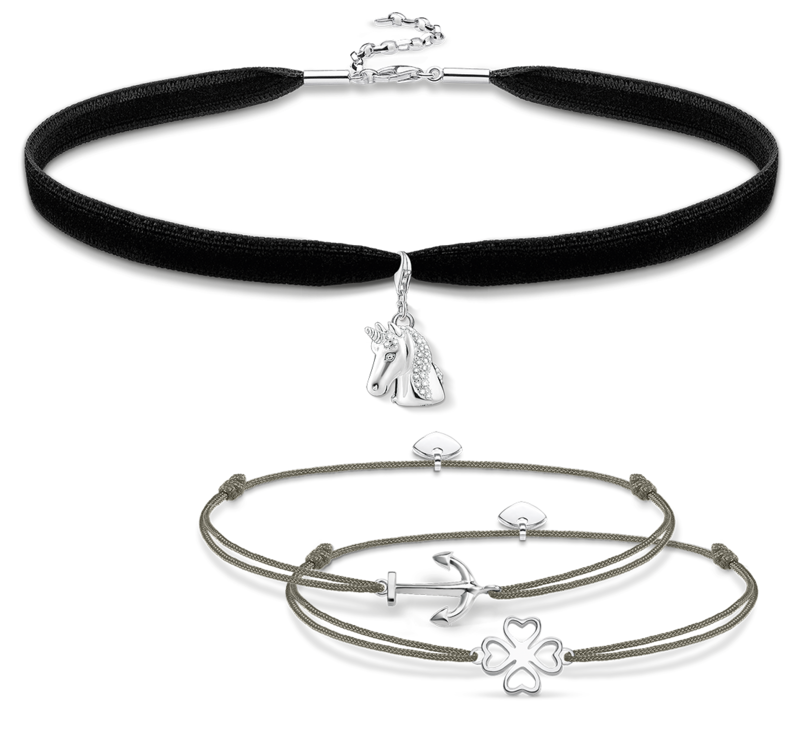 The diverse THOMAS SABO Sterling Silver portfolio ranges from timelessly-elegant looks to highly-expressive jewellery combinations for special occasions. Furthermore, the Charm Club Collection offers countless creative motifs for corporate gifts – with more than 500 different designs. The portfolio is rounded off with beautifully-designed watches that – inspired by the popular design codes of the THOMAS SABO jewellery collections – make their own statement. Discover the highlights in the current THOMAS SABO Corporate Business catalogue and find out more about our engraving options for corporate gifts. In addition to the countless engraving options offered by our constantly growing, customisable range, we also offer – exclusively for corporate gifts – customised engraving. That means that there is now nothing standing in the way of you eternalising your logo or company name on a high-end THOMAS SABO item of jewellery. In addition to exquisite items of jewellery crafted from shiny, in part blackened, 925 Sterling silver, designs embellished with 18k rose- or yellow-gold plating create particularly radiant accents. We can also create a digital or 3-dimensional sample on request. Anything is possible – from an expressive one-off piece, limited-edition fan items all the way through to an exclusive collection: in addition to the well over 2,000 items of jewellery and watches that our design team has created for the existing portfolio, we will also place our experience and the unique THOMAS SABO design codes at your disposal for selected bespoke pieces. With you, we will choose the materials and decorative elements such as the stone embellishment, enamel adornment and gold plating. 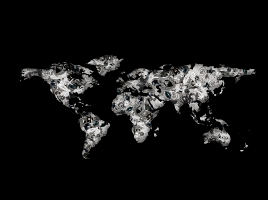 Take advantage of the THOMAS SABO brand recognition and our talent for knowing what different target groups want – worldwide. Click here for further information and to request complimentary information material. We create designs intended to stir the emotions. 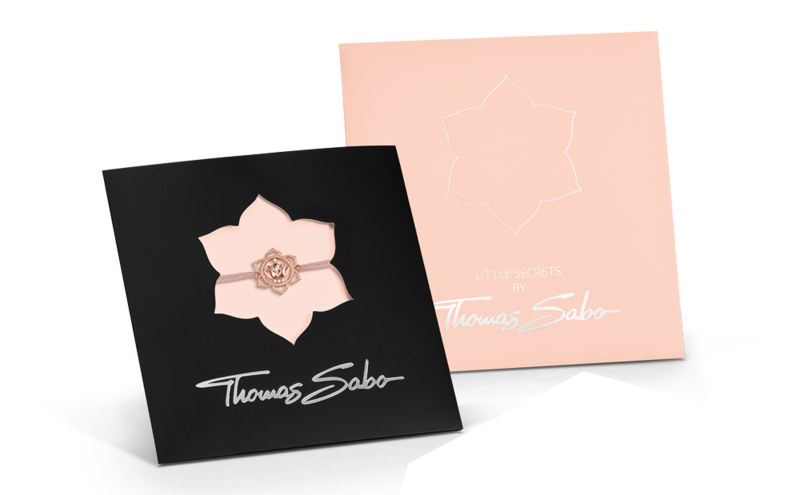 Opt for a high-end, long-lasting product in the form of a THOMAS SABO corporate gift. Every corporate gift includes top-quality packaging, ensuring that the design immediately makes the heart beat that little bit faster. Our packaging concepts are perfectly tailored to our earrings, necklaces, pendants, bracelets, rings, charms and watches and offer the ideal presentation for all designs.